As we approach Tamy on our initial visit to the zoo, I am told it’s ok to move closer but with caution. Tamy often throws rocks; he is visibly frustrated and attempting to establish boundaries. He clearly does not trust his keepers, and the feeling is mutual. His reputation as a killer proceeds him. But as the elephants in our past have shown us, captive elephants are merely a product of their environment- they are what we make them. Tragically, until now, those who surround Tamy and care for him, operate with fear. This is the life of a male elephant in captivity: not only void of stimulation and companionship but of any emotional support. Today we bring respect and empathy. When Tamy is free to wander the valleys and hills of Elephant Sanctuary Brazil, he will be free to discover who he truly is. Based on the first few hours of knowing him, who he is in the core of his being is far from a killer. His gentle eyes and soft face, his calm approach and tender affection with Guillermina through the steel gate that divides them, are the first signs of his inner spirit. He is a little withdrawn, curious, but not overly engaging. He walks calmly with his spine protruding more than we would like to see. As a mature male, his physical stature should be imposing, yet he appears weak but not frail. The struggles of his past show on his weary face. Sanctuary will change this! With exercise, balanced nutrition and motivation to explore, we’ll see his bulk return. He’ll soon carry the physical presence that speaks clearly of his masculinity. More importantly, he’ll soon know that he is and will always be respected and honored for his inner nature. This is not to say that he won’t lash out or establish boundaries, as this is also an important part of his journey as he tests our knowledge and challenges our respect. But, for the first time, whoever he chooses to be, he will be embraced and loved. 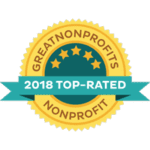 At sanctuary, respect, understanding, and empathy are always held at the foreground, forming the basis for listening and ultimately mutual trust. 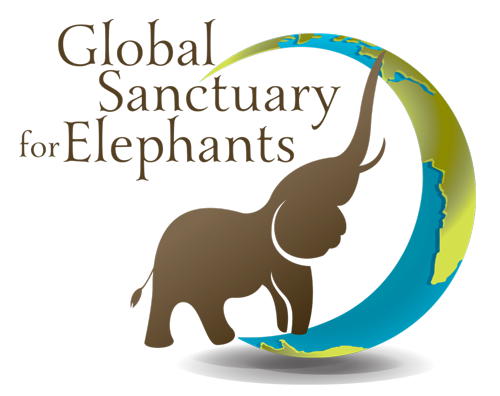 Creating this safe space allows elephants to begin a miraculous healing journey and recover from traumas decades old. You can help Tamy live out the rest of his life in nature, surrounded by others of his own kind and revered for simply being an elephant. In order to remove Tamy from the sterile life he knows now, we will need to build an area for Asian male elephants. The male Asian elephants’ initial habitat will contain three smaller shift yards attached to two 20-acre yards. 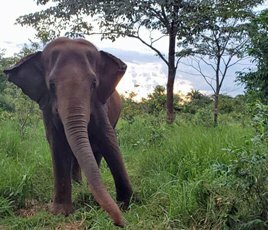 Although just like Maia and Guida, the small yards may be the only ones completed upon his arrival, it will allow us to get him out of the zoo sooner and then continue to expand. Tamy is a sweet soul in need of nurturing. All of us at GSE are looking forward to offering him a life that very few male elephants in captivity will ever have. We can’t wait to see him in open space and able to vent some of his testosterone through exploration of his environment and play. And eventually, ideally, by sparring with another male. His chance to leave the zoo is one in a million- please be part of making it happen.